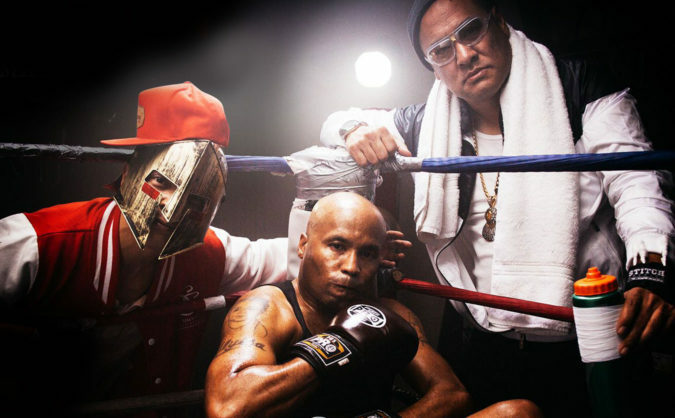 The hip-hop character known as Dr. Octagon is one of rapper Kool Keith’s many alter-egos. The original Dr. Octagon project, however, was bigger than just Keith. The groundbreaking 1996 LP Dr. Octagonecologyst was made by a core trio of Kool Keith, producer Dan the Automator, and turntablist DJ QBert (read the complete story of Dr. Octagon’s origins). That trio has announced their first-ever live performances (see flier below) together. This ‘never before seen live experience’ is set to debut at San Francisco’s Independent on March 6 and Los Angeles’ Teragram Ballroom on March 7. Tickets for both events go on sale this Wednesday. The flier also teases a 20th anniversary limited edition box set of Dr. Octagonecologyst. Dan told author Brian Coleman (author of Check the Technique: Volume 2: More Liner Notes for Hip-Hop Junkies) that the original Dr. Octagon trio has never done a single live date together – which will make these 2017 dates their world premiere.